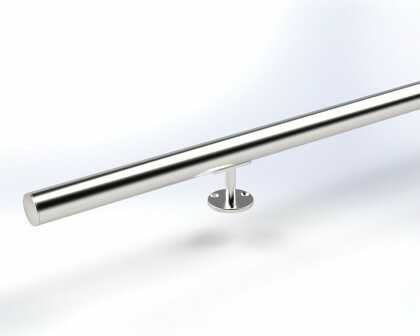 BCUK Handrails are 42.4mm diameter and 48.3mm diameter and are made from satin polished grade 304 stainless steel so are intended for internal use. Our Stainless Steel Handrails are available in half metre incremental lengths from 0.5 metres through to 4.5 metre overall length. 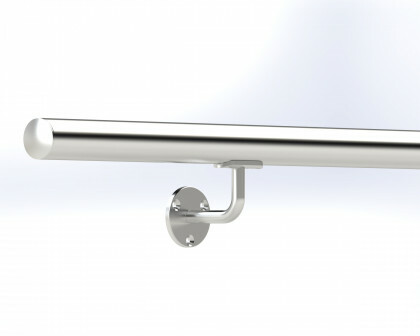 BCUK Handrails are available as conventionally wall fixed handrails, Vertical Handrails and Handrails for Glass. 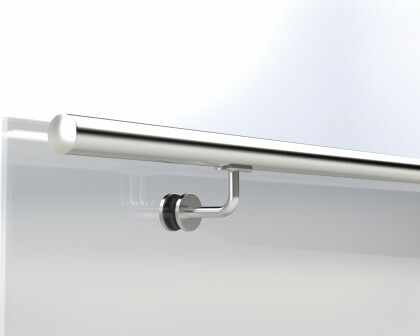 Handrail for Glass are designed for glass between 15mm and 21.5mm thickness. 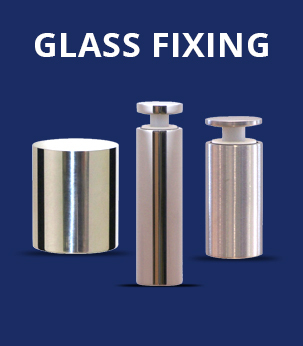 The glass needs holes a minimum of 20mm diameter for fixing. Handrails should be fixed at linear centres not greater than 1.25 metres. These handrails conform to UK Building Regulations.